The world's nautical charts come from many sources. British Admiralty, Imray, NOAA, NGA and CHS to name a few. 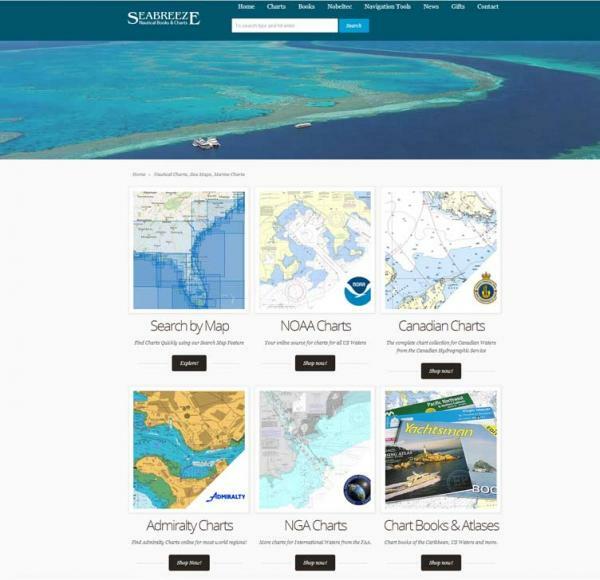 They number in the tens of thousands making finding the right chart a challenge for Mariners. Supplementing these charts are also handbooks for navigation, sailing directions, regulation, tides and current information as well as educational materials. By understanding the behavior of buyers in this market and by redesigning the eCommerce platform for greater ease of use and search, Acorn Interactive has been able to boost the online revenue more than five-fold in less than 6 months. Using Geocoding techniques chart outlines were overlaid onto Google maps, allowing the user to zoom in and out and see charts at different levels of detail.